Recently I had the opportunity to live for three months with a Gibson Les Paul that was redone by Nash Guitars in Washington State. I will not go into what he does — you can read that for yourself here. Suffice it here to say that these are real Gibson Les Pauls that they purchase and then completely make over. Like his Fender-style models, the Les Pauls are “aged” and so look like a well-used vintage instrument. 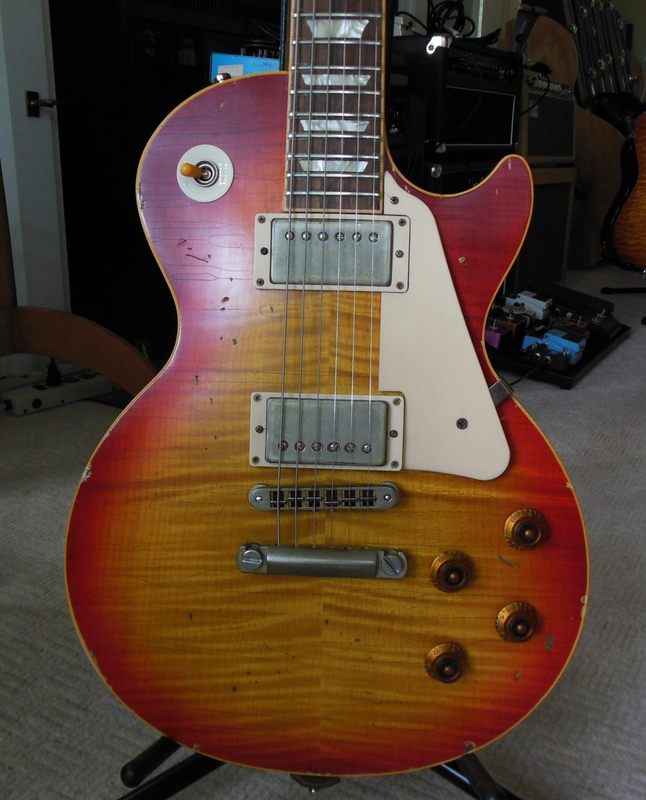 The Gibson pickups are replaced with a Dimarzio Bluesbucker in the Neck position and Air Norton in the bridge position. Nash also has an innovative wiring scheme for coil-tapping. When a pickup’s tone control is at 9 or 10, the pickup is in single coil mode, otherwise its humbucking. So, how does this all work? I have never really bonded with Les Pauls or any mahogany solid-body Gibson, for that matter. They have always felt somewhat dead in my hands and sounded woofy to my ears. There is also the very relevant issue today of Gibson’s quality problems. I have also never understood the purpose of intentionally “aging” guitars. Well, the Nash was a revelation. It may be the liveliest electric I have ever played — incredibly resonant acoustically. It played superbly and was set up beautifully. The largely finish-free neck felt great. Plugged in, there was very little of the woofiness I have always heard when playing Gibsons. I like using the neck pickup for overdriven lead tone, and this has typcially been impossible with other Gibsons. It worked beautifully on the Nash LP. Dialing down the tone control on the bridge pickup produced an excellent alternative lead sound, and wonder of wonders, the middle switch position with both pickups on sounded balanced and excellent with plenty of the quacky/boinky character it should have. So what is the downside? They cost over $4,000. That is too expensive for me when a used, pristine Tom Anderson Cobra can be had for less than $2500. I understand why the Nash costs so much, and am not saying they aren’t worth it. First they have to buy a guitar that is likely around $1500 to start with. Then they add all their work, which is where most of the value really is, and of course they have to sell it to a dealer at a profit and then the dealer has to make a profit. These guitars seem to hold their value well, however. Knowing Gibson’s quality problems (and really high prices for the nicer models), if I had to have a great Les Paul and I didn’t want to go to a store an play 20 or 30 guitars, the Nash Les Paul is how I would go. 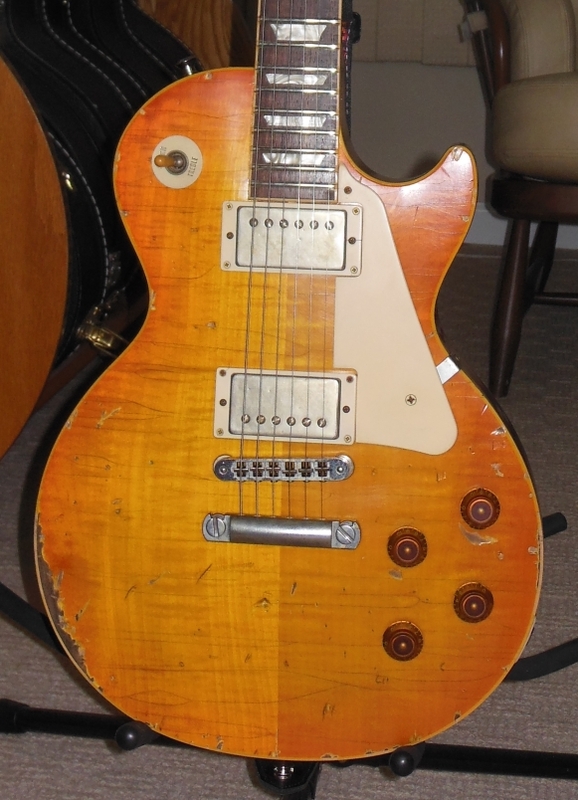 Update June 2013: I bought a “used” Nash LP a couple of weeks ago, as I was able to get a great deal.